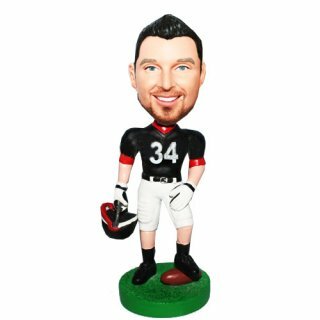 Wearing the New York Jets uniform, right hand holding the helmet,this custom male bobblehead doll has his right foot resting on a football. 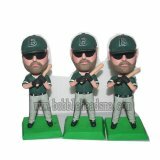 You can even make your own number on the jerseys and name on the green grass base. It’s very personalized and fun.Want to surprise a New York Jets fan with something special? 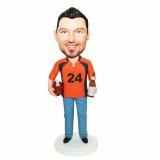 This personalized New York Jets bobblehead is perfect to make him thrilled.